Now in its fifth year The Balnaves Award has become one of the most prestigious playwriting awards in Australia, be it for Indigenous or non-Indigenous Australians. The calibre of entries and winners has consistently proven the depth of talent in the Indigenous theatre industry. The Balnaves Award is an act of generosity from The Balnaves Foundation. As noted by previous judge and Artistic Director of Sydney Festival, Wesley Enoch at the award ceremony, Indigenous storytelling does not always fit the structures of funding models by government organisations, which makes this specifically designed award even more important. 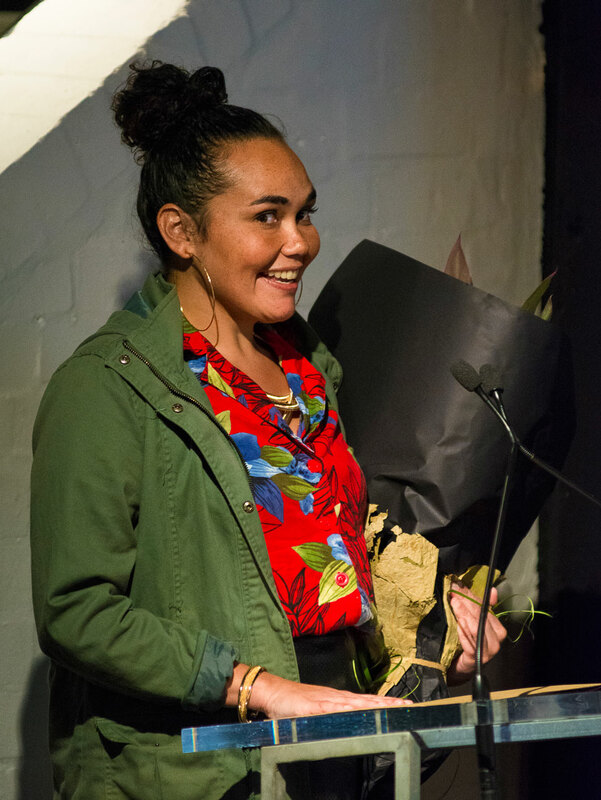 In the past four years the award has recognised playwrights Katie Beckett, Leah Purcell, Jada Alberts and Nakkiah Lui, but also inspired many Indigenous artists to dream up new plays. The award to open to everyone from the most experienced playwrights, to people just starting out on their first plays and any writer of Aboriginal and Torres Strait Islander decent is encouraged to apply, regardless of whether or not they have written for theatre before. ‘We have uncovered some extraordinary talent through this award,’ said Hamish Balnaves, General Manager of The Balnaves Foundation. ‘In Belvoir’s 2016 Season the first Balnaves Award commission to be completed will have its world premiere. We cannot wait to see what the formidable Leah Purcell has done with her adaption of Henry Lawson’s The Drovers Wife, and even better, she’s playing the title role. Since 2011 The Balnaves Foundation has supported the presentation of two Indigenous-led works per year as part of Belvoir’s annual season. To further their commitment to the telling of Indigenous stories through theatre, the Foundation has committed $20,000 per year to this annual award for an Indigenous playwright. The Balnaves Foundation is committed to working towards reconciliation and has supported numerous Indigenous arts projects including the creative development of I Am Eora and Black Diggers for Sydney Festival. The award is comprised of a $7,500 cash prize and a $12,500 commission to write a new play with the support of Belvoir. Entries close on Friday 15 April and the award will be presented in June. Applications for The Balnaves Foundation Indigenous Playwright’s Award are open from Friday 26 February and close on Friday 15 April. Katie Beckett accepts the 2015 Balnaves Award. Image: Patrick Boland.